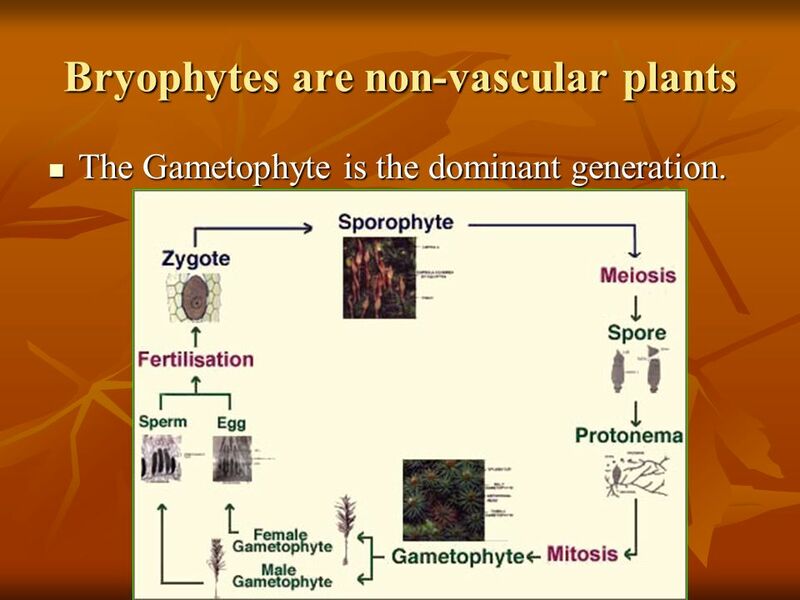 The Gametophyte is the dominant generation. 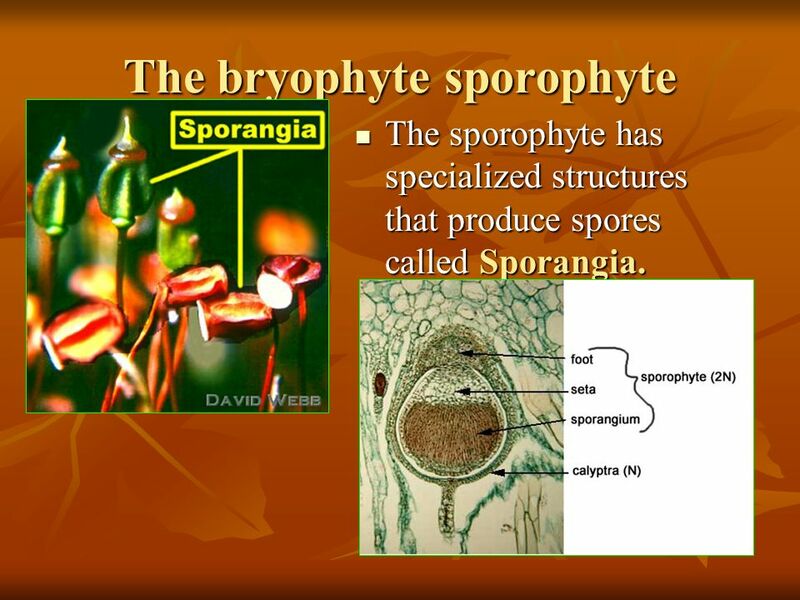 The sporophyte has specialized structures that produce spores called Sporangia. 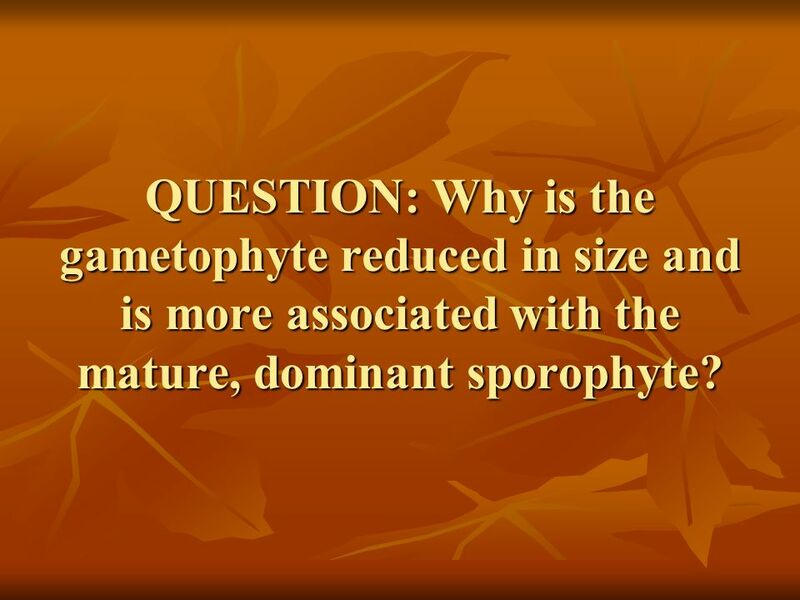 9 QUESTION: Why is the gametophyte reduced in size and is more associated with the mature, dominant sporophyte? 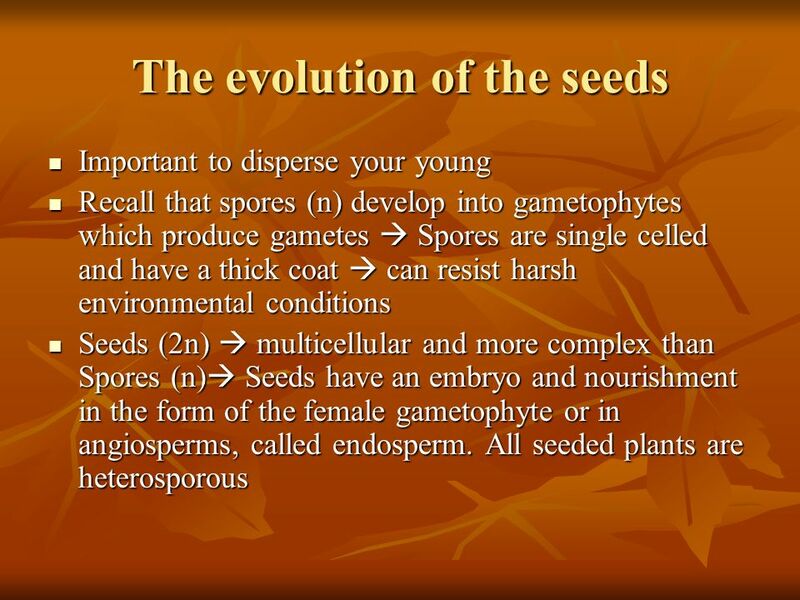 Delicate gametophytes (structures that produce the delicate gametes) are reduced and develop within the sporophyte. WHY?? 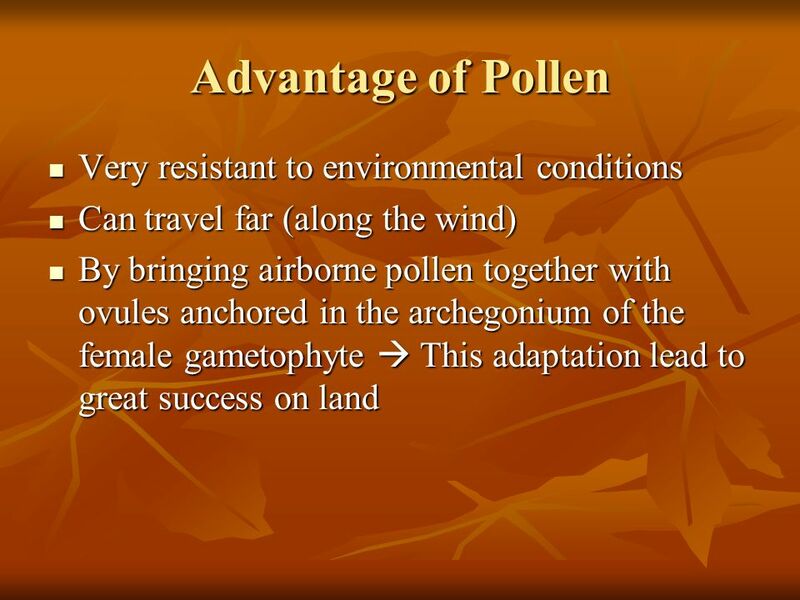  Protection from environmental stresses. 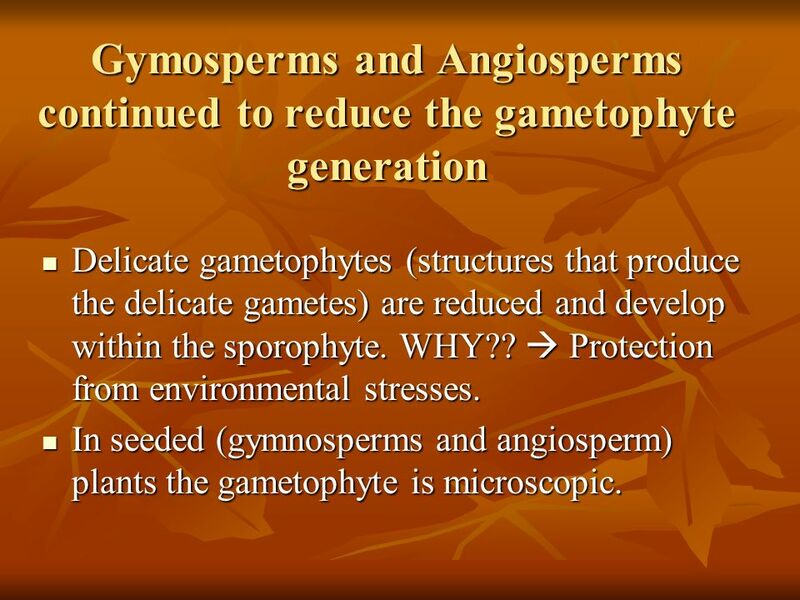 In seeded (gymnosperms and angiosperm) plants the gametophyte is microscopic. 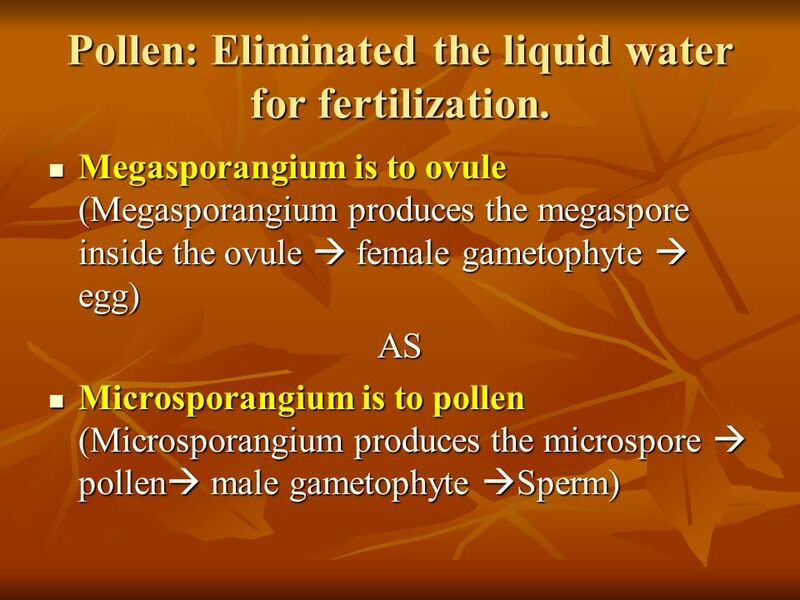 13 Pollen: Eliminated the liquid water for fertilization. 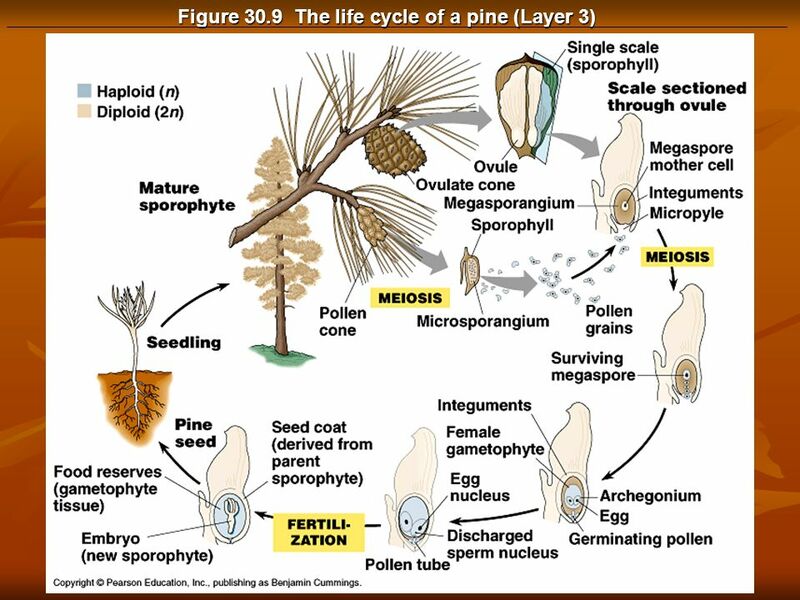 16 Life Cycle of the Pine is a great example of the reduction of the gametophyte in seeded plants. 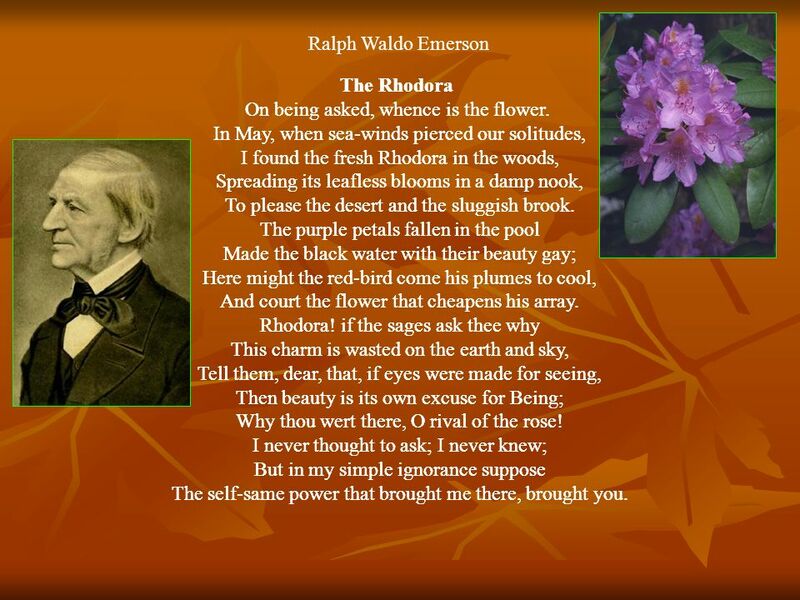 Ralph Waldo Emerson The Rhodora On being asked, whence is the flower. In May, when sea-winds pierced our solitudes, I found the fresh Rhodora in the woods, Spreading its leafless blooms in a damp nook, To please the desert and the sluggish brook. The purple petals fallen in the pool Made the black water with their beauty gay; Here might the red-bird come his plumes to cool, And court the flower that cheapens his array. Rhodora! if the sages ask thee why This charm is wasted on the earth and sky, Tell them, dear, that, if eyes were made for seeing, Then beauty is its own excuse for Being; Why thou wert there, O rival of the rose! I never thought to ask; I never knew; But in my simple ignorance suppose The self-same power that brought me there, brought you. The Rhodora On being asked, whence is the flower. In May, when sea-winds pierced our solitudes, I found the fresh Rhodora in the woods, Spreading its leafless blooms in a damp nook, To please the desert and the sluggish brook. The purple petals fallen in the pool Made the black water with their beauty gay; Here might the red-bird come his plumes to cool, And court the flower that cheapens his array. Rhodora! if the sages ask thee why This charm is wasted on the earth and sky, Tell them, dear, that, if eyes were made for seeing, Then beauty is its own excuse for Being; Why thou wert there, O rival of the rose! I never thought to ask; I never knew; But in my simple ignorance suppose The self-same power that brought me there, brought you. 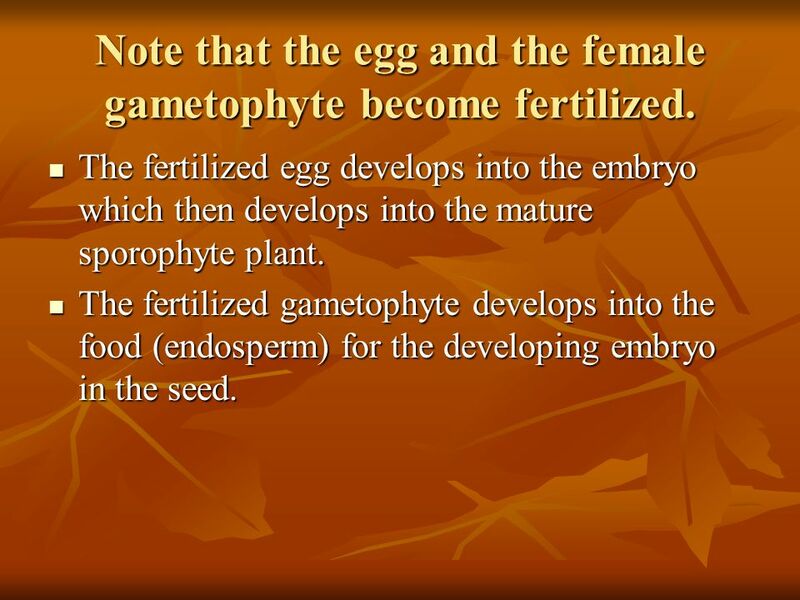 28 Note that the egg and the female gametophyte become fertilized. 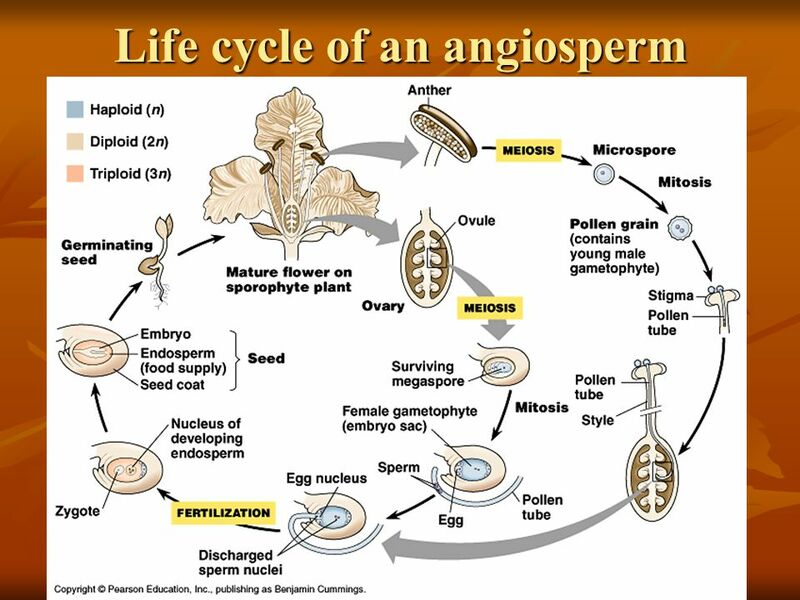 The fertilized egg develops into the embryo which then develops into the mature sporophyte plant. 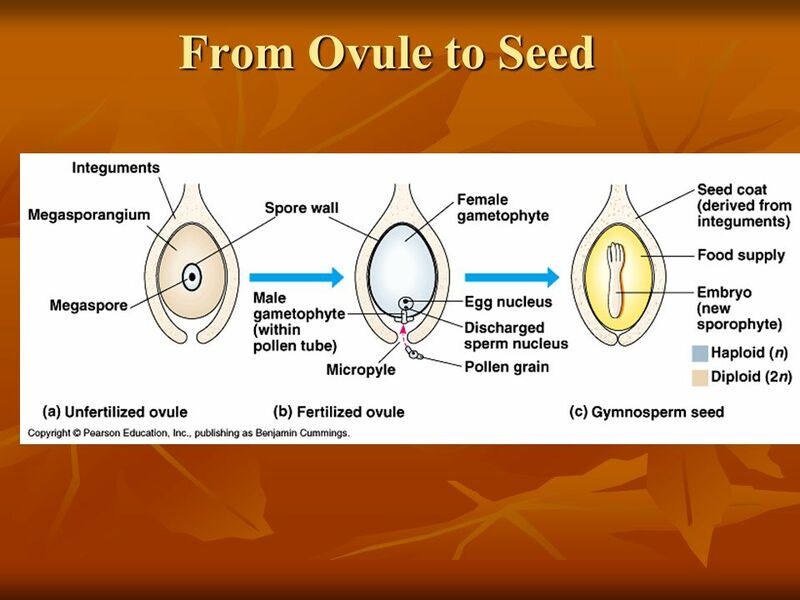 The fertilized gametophyte develops into the food (endosperm) for the developing embryo in the seed. 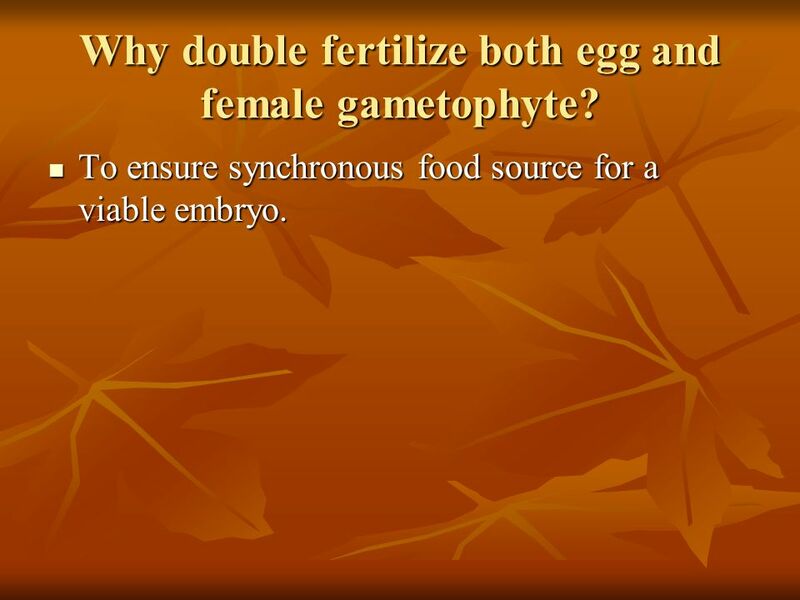 29 Why double fertilize both egg and female gametophyte? 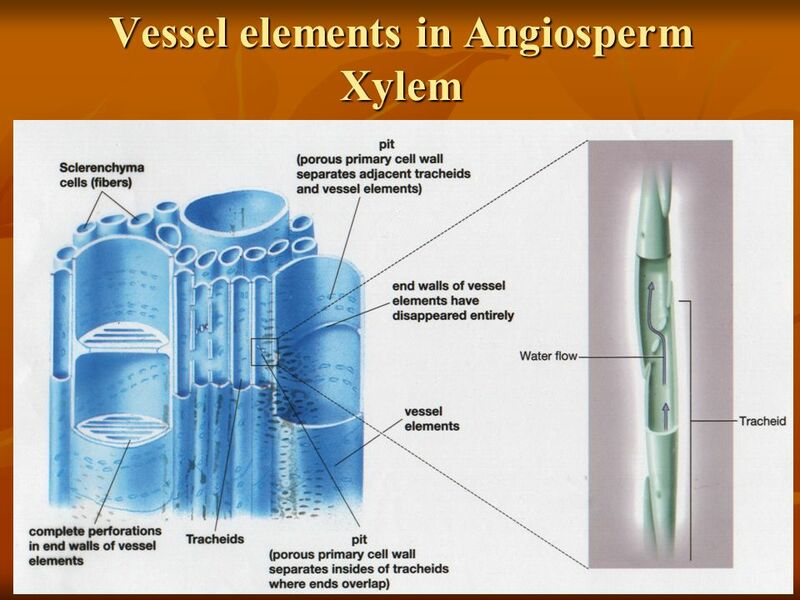 To ensure synchronous food source for a viable embryo. 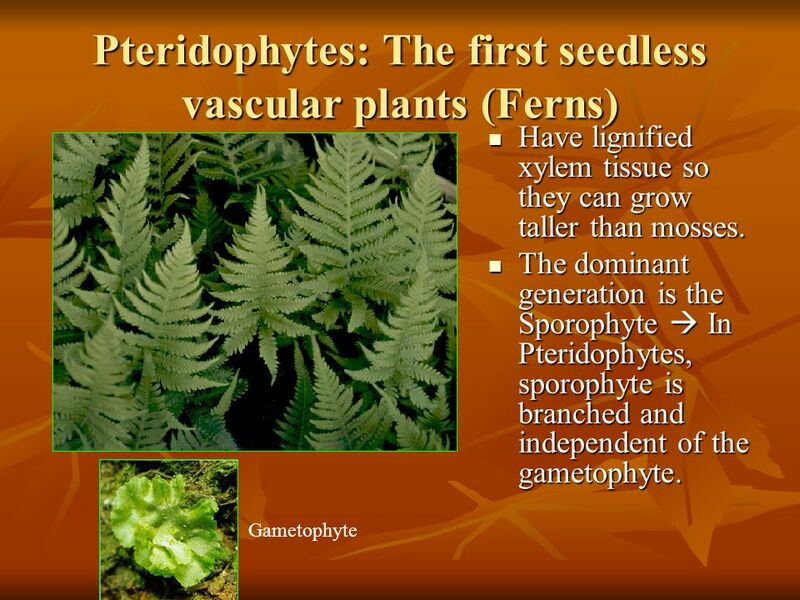 Download ppt "Plant diversity continued"
How Did Plants Adapt to Dry Land? 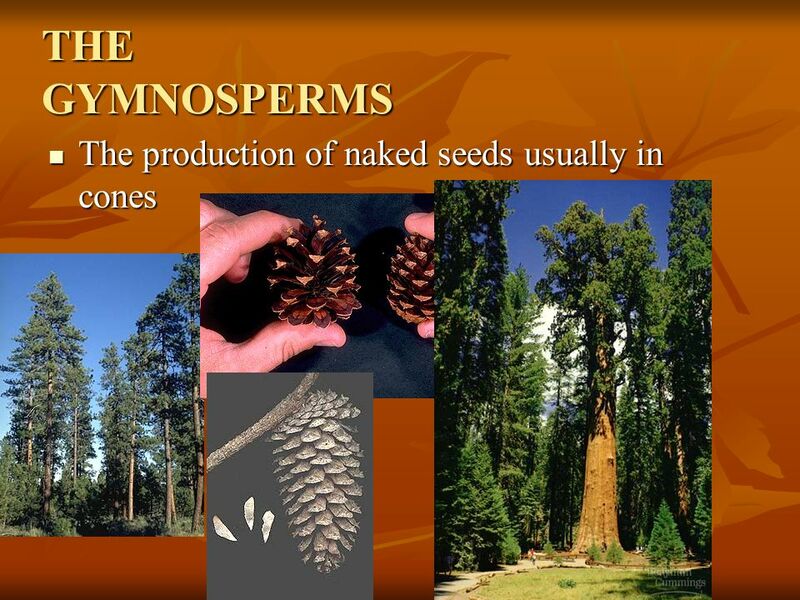 Seed Plants  Two groups of seed plants: Gymnosperms Gymnosperms Angiosperms Angiosperms  Gymnosperms include the conifers and cycads and this group originated. II. Fern Moss covered forest in New Zealand Wow check this out! com/videoplay?doc id= com/videoplay?doc. 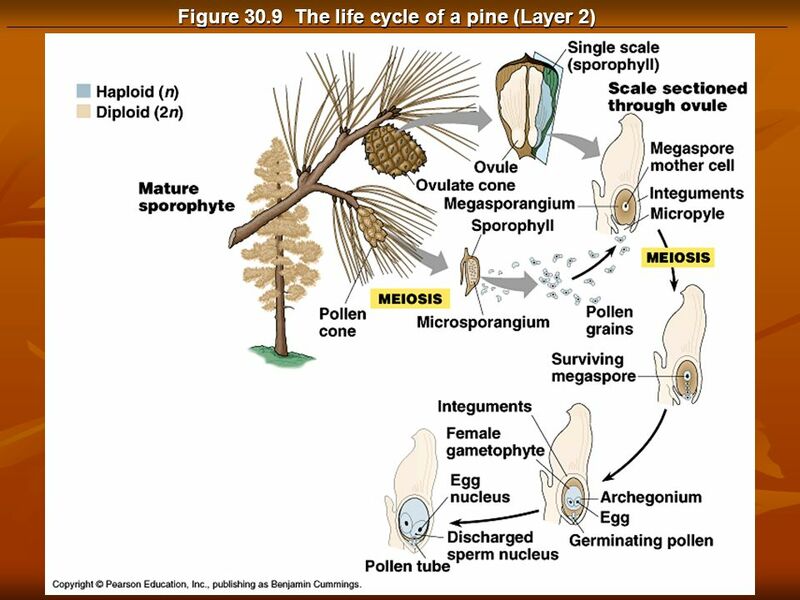 1 Overview of Plant Diversity Chapter The Evolutionary Origins of Plants Defining characteristic of plants is protection of their embryos.  Land. 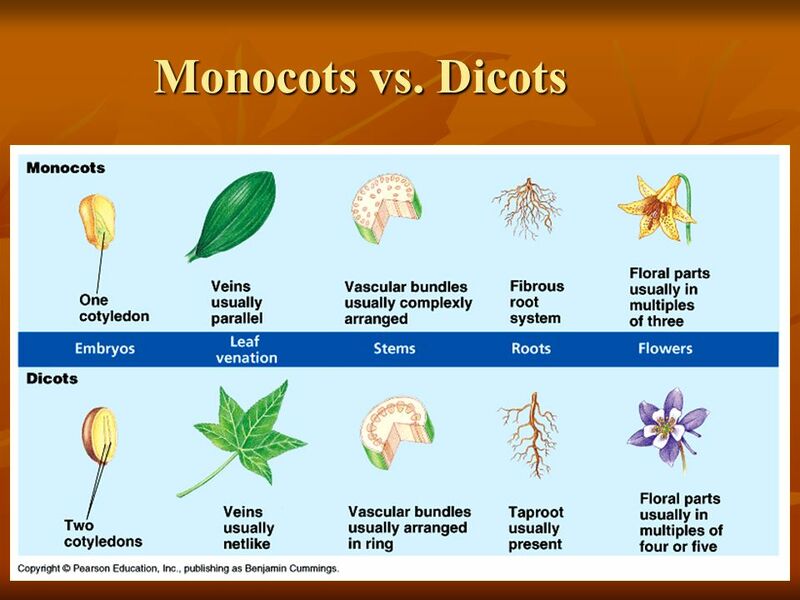 Plant Reproduction (Terrestrial) –nonvascular > vascular, –haploid dominant > diploid dominant, –homosporous > heterosporous, –motile gametes > nonmotile. 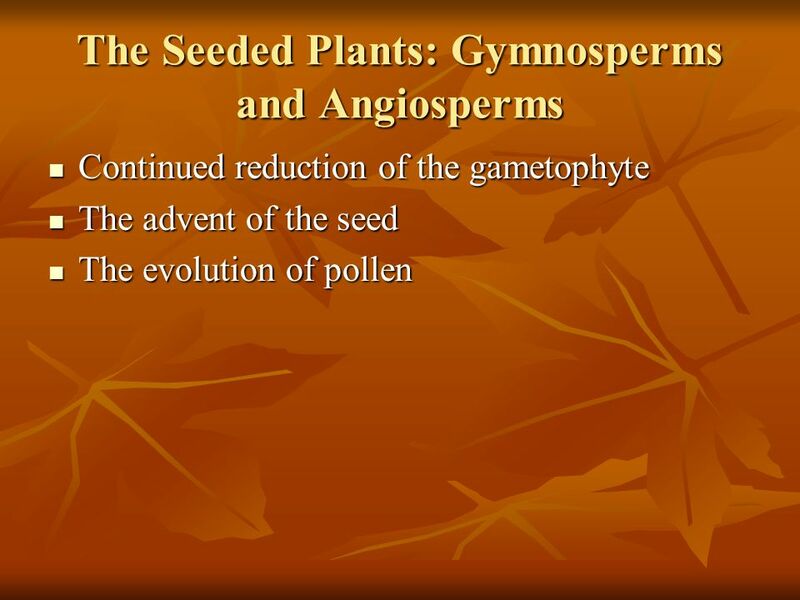 JEOPARDY BryophytesSeedless/ Vascular Gymno- sperms Angio- sperms Alt. 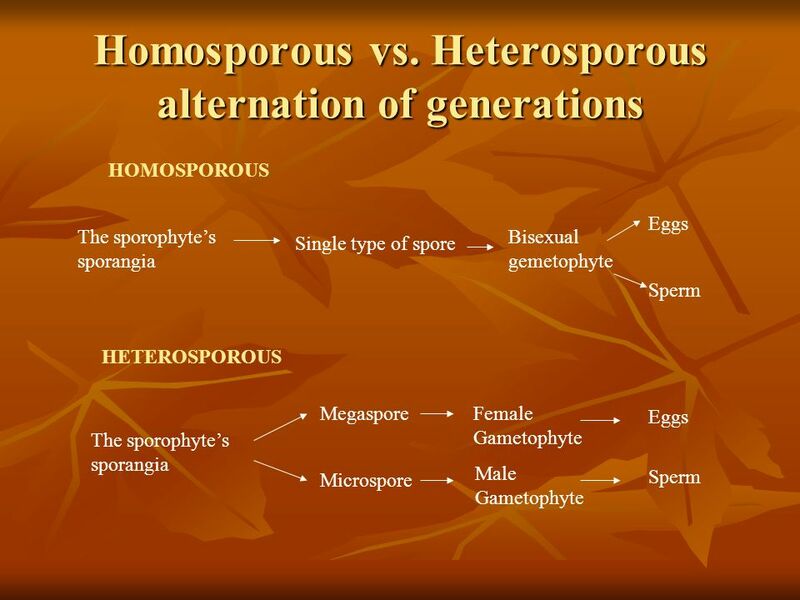 Of Generations Potpourri $10 $20 $30 $40 $50 Summer 2010 Workshop in Biology and. 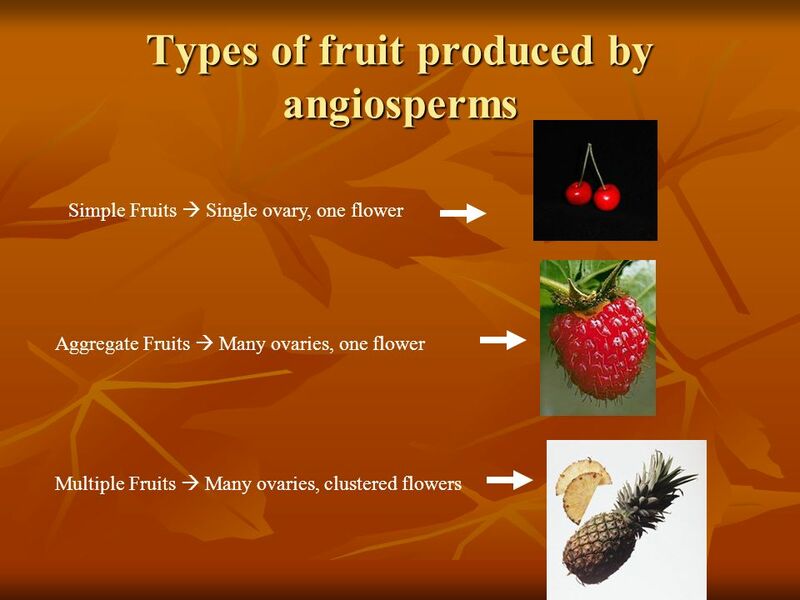 Seedless Plants. 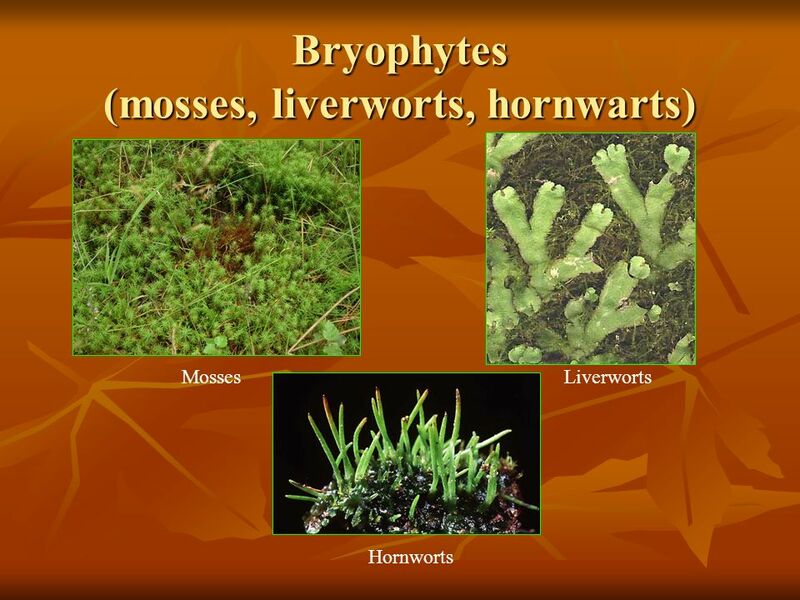 Nonvascular Seedless Plants Mosses, liverworts, hornworts Grow on soil, bark of trees, rocks Usually live in places that are damp Are. 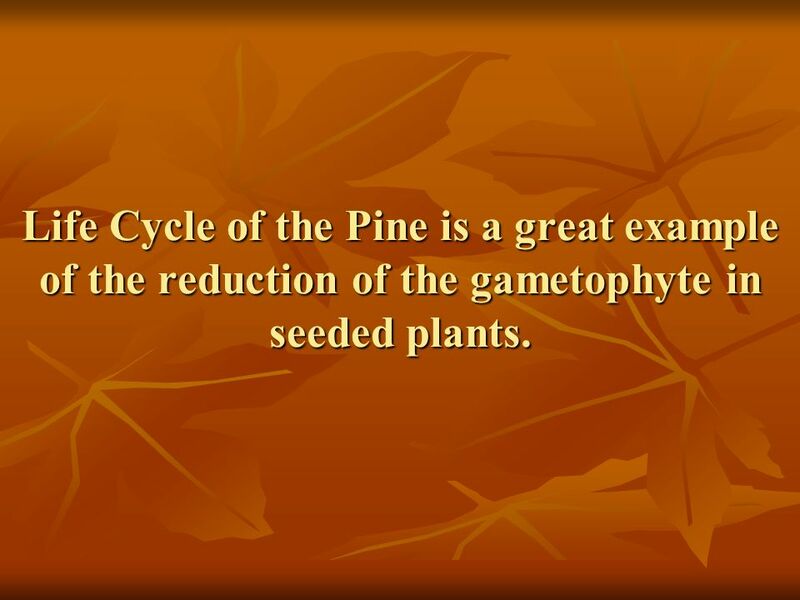 Plants A survey of Kingdom Plantae. 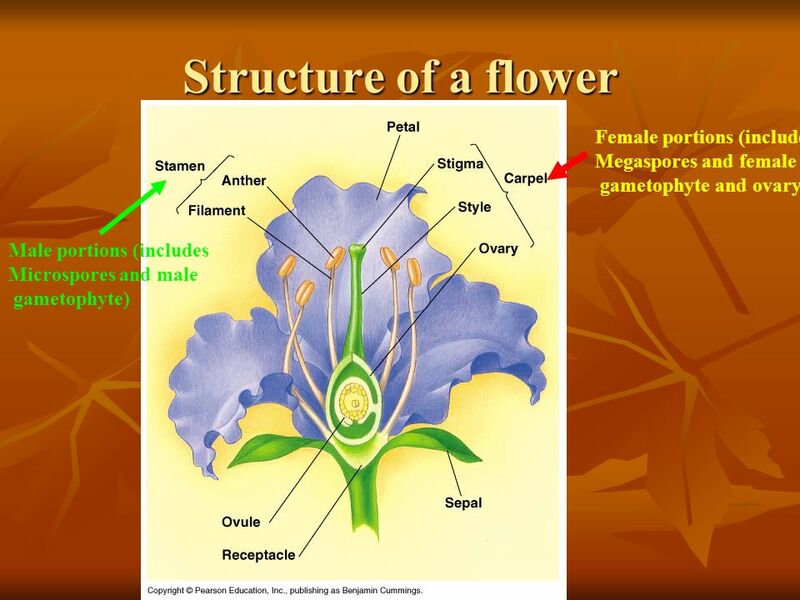 Characteristics of Plants n All Plants are Producers - Photosynthetic n Plants are Multicellular n Plant cells have. Plants I Chapters 29. 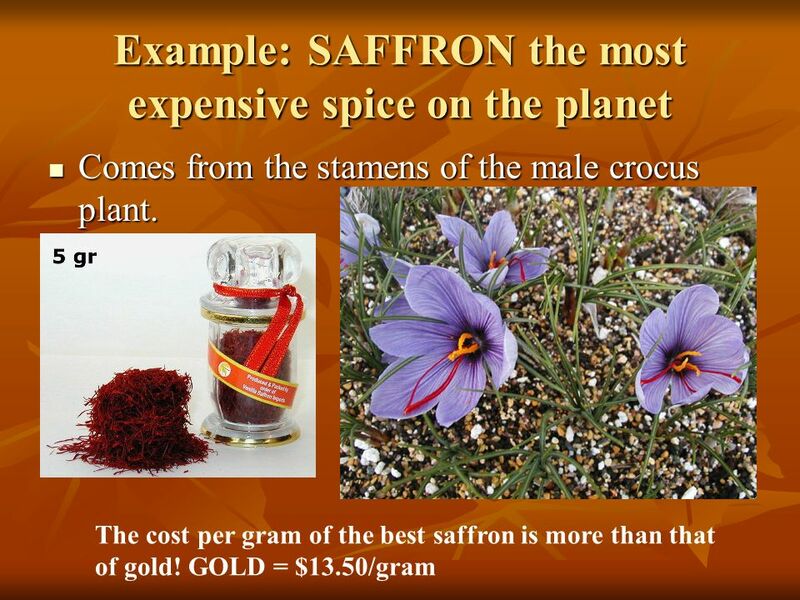 What you need to know! 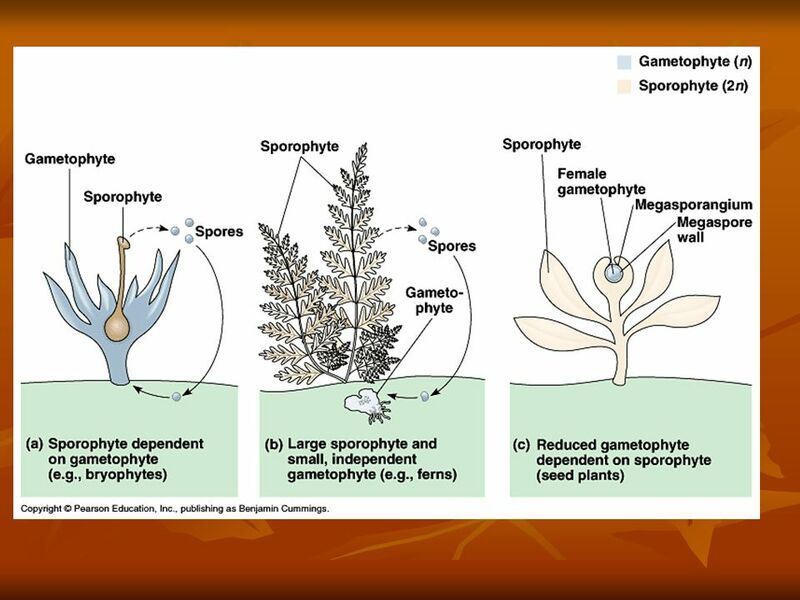 Why land plants are thought to have evolved from green algae. 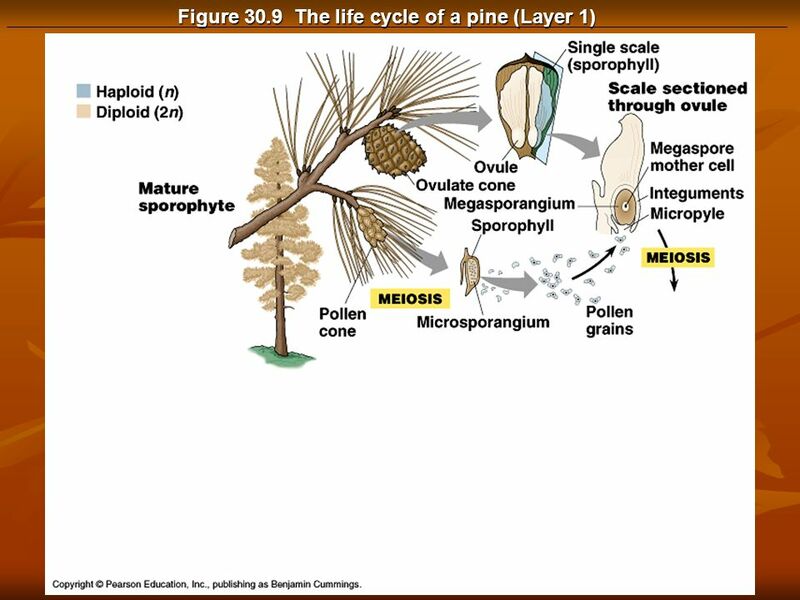 Why land plants are thought to have evolved. 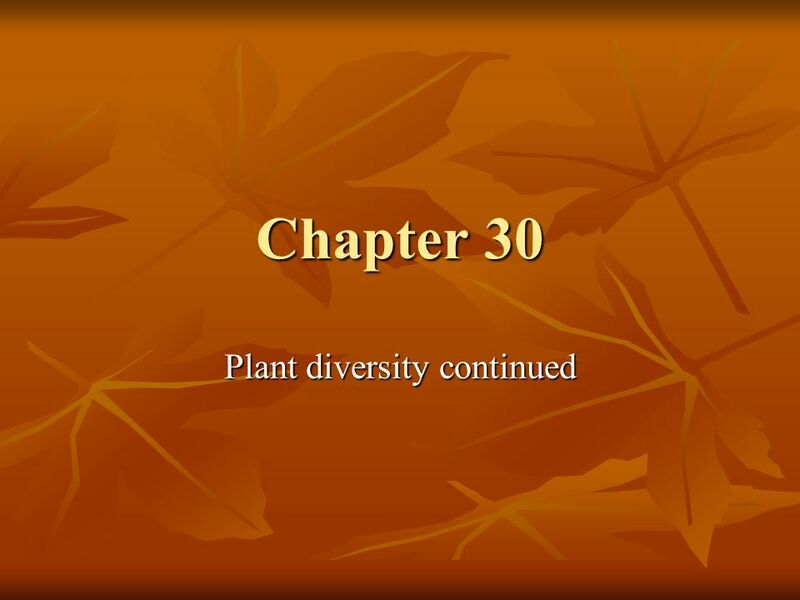 Plant Diversity II: The Evolution of Seed Plants Chapter 30. 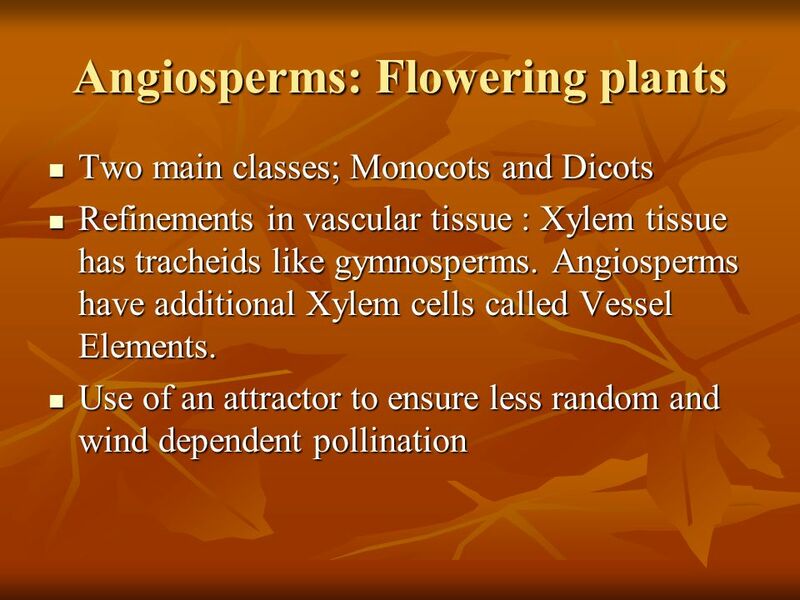 Plant Notes Ms. Williams Biology.